NEW DELHI: State-owned Punjab National BankNSE -1.93 % (PNB) has sanctioned loansworth Rs 689 crore to over 1,600 Micro, Small and Medium Enterprises (MSMEs) through the psbloansin59minutes.com portal as part of its effort to promote such industries. Under the Mudra Yojana, the bank has offered loan to over 2.69 lakh small entrepreneurs this fiscal (till February 14, 2019). “In November 2018, Hon’ble Prime Minister announced the launch of the 59 minute loan portal to enable easy access to credit for MSMEs. 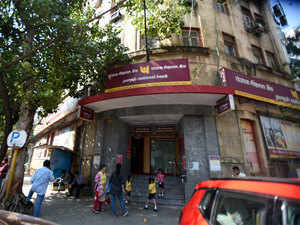 Under this initiative, the bank has sanctioned loans to over 1,600 accounts with total sanctioned amount of Rs 689 crore (till February end),” PNB managing director Sunil Mehta told PTI. MSMEs through this portal can avail loans of up to Rs 1 crore in 59 minutes or less than an hour. MSMEs apply for loans using their GST registration as the portal is integrated with GST server at the back-end as well as IT, credit bureaus and banks. It is able to quickly score the applicant on individual models of lenders (currently only public sector banks). It is a strategic initiative of SIDBI led PSB consortium incubated under the Department of Financial Services (DFS), Ministry of Finance. Other partner banks are the SBI, Bank of Baroda, PNB, Vijaya and Indian Bank. With regard to the Pradhan Mantri Mudra Yojana, Mehta said since the inception of the scheme, PNB has sanctioned loan to over 17.16 lakh accounts with total amount of 21,019 crore till December 31, 2018. “In the current financial year, the bank has offered the loan to over 2.69 lakh accounts with total amount sanctioned being 5,290 crore till February 14, 2019. The scheme has helped millions of small enterprises in the country and will continue to do so, in the coming years. The bank has exceeded the government targets under Mudra scheme and has provided additional working capital limit to MSMEs,” he said. PNB has bagged many awards last month under the Enhanced Access and Service Excellence (EASE) reforms agenda. The bank won the Reforms Excellency Award. It was also declared the winner in the customer responsiveness, responsible banking and credit Off-take category. The bank has also figured in the Forbes world’s best bank 2019 report in terms of customer satisfaction ratings.